The Reuth Step of Mind Institute for the rehabilitation of walking functions operates within the Physiotherapy Unit at Reuth Medical & Rehabilitation Center, headed by Sarah Peleg-Shani. 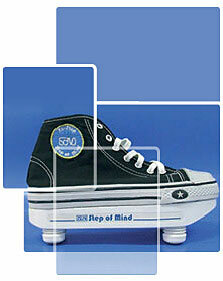 The institute offers an innovative treatment for walking rehabilitation, using Re-Step™ shoes – a computerized system developed by the Israeli company Step of Mind Ltd. The treatment, based on many years of research on motor learning and brain elasticity, is given by skilled physiotherapists who have undergone special training. It targets people whose walking abilities have been impaired by stroke, CP, head injury or brain surgery, as well as elderly people who suffer from falling incidents.